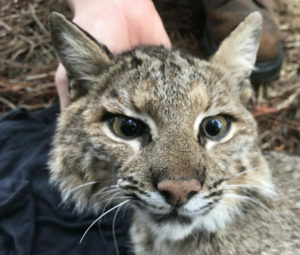 Trapping for the 2019 season began on February 5, 2019 and ended on March 1, 2019. 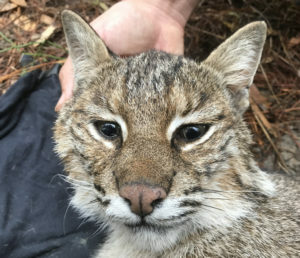 A total of 6 bobcats were captured and fitted with GPS collars. Our bobcats are never harmed in the capturing/collaring process. To learn more about the GPS study, visit the research page . We use a bantam rooster in a separate and safe enclosure to lure a bobcat into a cage trap. 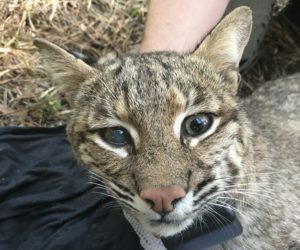 The bobcat is sedated, measured, and outfitted with a GPS collar. GPS data is sent daily to our biologists from the GPS collar using the local cellular network. This year marks the 13th consecutive year of Bobcat GPS research on Kiawah Island. 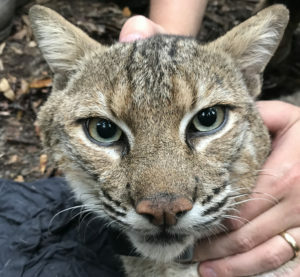 This project remains the longest, continuous GPS study on bobcats in the world and was developed by the Town of Kiawah Island, in partnership with the Kiawah Conservancy, in 2007. A total of 83 bobcats have been captured and fitted with GPS collars to date. Trapping is conducted annually between January and April. Collars are programmed to obtain a specific number of locations per day allowing biologists to identify habitat use patterns during day and nighttime hours, denning sites, travel corridors, survival, dispersal, and more. 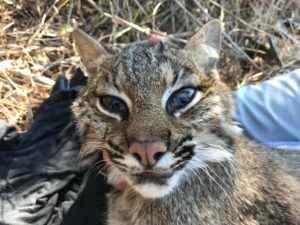 This information is used to pinpoint specific areas or habitat types on the island that are of vital importance to bobcats and to update the Bobcat Management Guidelines for the island. 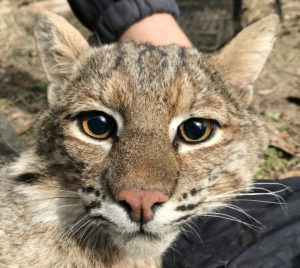 This plan provides suggestions and recommendations to all island entities and property owners regarding creation, preservation, and improvement of bobcat habitat.